After long time waiting, State Bank of India (SBI) has circulated to SBI PO Recruitment 2019 to cover up the 2000 Pots in its department. The main of the department to filter the brilliant and hardworking candidates to fill up the most reputated Probationary Officer Jobs . 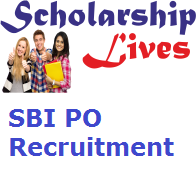 SBI PO is one of the most popular jobs in banking industry and a dream job for millions of applicants across India. If you are also one of the eligible applicant then check here complete eligibility criteria, selection mode, how to apply online before the last date. Important Note: According to latest Notification, SBI PO 2019 Prelims exam is planned on 8th, 9th, 15th & 16th June 2019. All the eligible and dedicated candidates register online for the recruitment process. The team members of the bank will select the candidates on the basis of the Preliminary and Main Exams which will be conducted online, followed by Interview. Final selection will be based on merit.